"This is a clever and, at times, deeply moving thriller. I loved it." When a woman is beheaded in a park outside Rome and her six-year-old son goes missing, the police unit assigned to the case sees an easy solution: they arrest the woman's husband and await his confession. But Alfredo Rovere, the chief of Rome's major crimes unit, doubts things are so simple. Secretly, he lures to the case two of Italy's top analytical minds: Deputy Captain Colomba Caselli, a fierce, warrior-like detective still reeling from having survived a bloody catastrophe, and Dante Torre, a man who spent his childhood trapped inside a concrete silo. Fed by the gloved hand of a masked kidnapper who called himself 'the Father', Dante emerged from his ordeal with crippling claustrophobia but, also, with an unquenchable thirst for knowledge and extraordinary powers of observation. As Caselli and Torre follow the ever-more bizarre trail of clues, they grasp that what's going on is darker than they ever imagined. 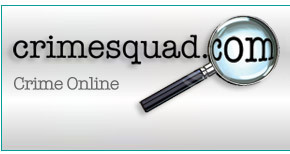 In their hunt for the truth, each will ultimately face their deepest fears. Sandrone Dazieri is an Italian best-selling author and screenwriter. I hadn't heard of him before but, on the basis of this book, I'll certainly be seeking out more of his work. 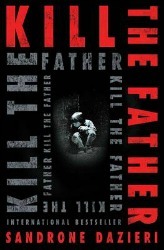 'Kill the Father' is a gripping, complex and atmospheric thriller set in the ancient city of Rome. It's a classic page-turner with a complicated plot that's full of twists, turns and surprises, along with two of the most compelling characters I've come across in some time. What follows is a complex, clever and utterly compelling thriller. The central characters of Columba and Dante work brilliant. It's potentially a risk having your two main characters so troubled by past events: Dante suffers severe claustrophobia and paranoia, while CC, haunted by the bomb explosion she feels responsible for, suffers nightmares and debilitating panic attacks. With a less skilled author, this might feel like overload. In Danzieri's hands, it works perfectly. There is real chemistry between the characters and each one is utterly plausible. The blurb with this book tells me it's the first in a planned series featuring Columba and Dante. I'll be first in line to buy the next one when it comes out. This is a clever and, at times, deeply moving thriller. I loved it. "Philip Kerr’s Bernie Gunther novels are a high benchmark in noir fiction..."
October 1956, and a displaced Bernie Gunther is working in a hotel at the end of the season on the French Riviera and dreaming of winter in Berlin. So a letter from his estranged wife, inviting him to join her for dinner at one of Nice's finest eateries, comes as a welcome surprise… Until he steps inside the dining room and finds himself face-to-face with the Stasi instead. General Erich Mielke has come from out of Gunther's past with an offer he doesn't think the former Kripo Kriminalinspektor can possibly refuse. 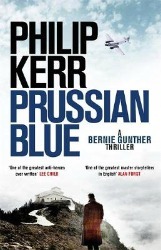 Philip Kerr's Bernie Gunther novels are a high benchmark in noir fiction that blend clandestine historical fact with an epic imagination to render perhaps the darkest of all 20th Century stories – the rise of the Nazis, the horrors of WWII and, in these later, post-War installments, what happened to all those who escaped punishment. Kerr's task in conjuring the past so vividly is helped immeasurably by Gunther, who seems to have been fashioned from equal parts Philip Marlowe and Martin Heidegger (the boozy beggar). Only a hard-bitten, existentialist philosopher detective with a liver as strong as his sense of humour could survive the goings-over Gunther has received in his career thus far – and in 'Prussian Blue', he's receiving a two-way kicking from both his past and present. Having cleverly set up Korsch as the conduit to these parallel stories, the details of the 1939 case unfurl. At the insistence of his then boss, General Heyditch, Gunther is sent to find a killer – and, more importantly from the scheming Heyditch's point of view, gather incriminating dirt on Hitler's deputy chief of staff, the monstrous Martin Boormann. What Gunther discovers in Bavaria is a web of corruption more labyrinthine than the salt mine tunnels that run beneath the Halls of the Mountain Führer, as all those who hope to benefit from the seismic events about to unfold across the globe make their grabs for riches and power. That the person who helped Gunter with the case is now working for an even better organized bunch of government-sponsored thugs in the latest incarnation of authoritarian Germany is an irony not lost on the fugitive. 'Prussian Blue' is an icy warning from history made colder still by the conscious links Kerr makes between those days and our own interesting times. "This book is a masterclass of crime fiction." The first body comes as a shock. The second brings horror. The third signals the beginning of a nightmare. When fifteen-year-old Isla Bell finds three bodies propped against Hadrian's Wall, her whole world falls apart. In such a close-knit community, everyone knows the victims, and the man who did it. Twenty years on and Isla has dedicated her life for forensic psychology; studying the brains of serial killers, and even coming face to face with the convicted murderer who turned her world upside down. She is safe after all, with him behind bars. Then another body appears against the Wall… then another. As the nightmare returns and the body count rises, everyone in town is a suspect. In just four novels Emma Kavanagh has made a name for herself as one of Britain's leading psychological thriller writers. She is certainly one of my favourites. Her novels are more than pure entertainment. They're though provoking, they're richly challenging, and they will stay with you long after the final page. 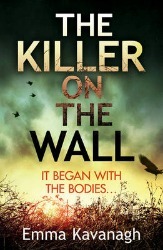 'The Killer on the Wall' is a highly original and pitch dark story of a serial killer in a small community. Emma's skill lies in her background as a police and military psychologist, so the research is spot on, but her attention to detail and characterisation is what takes her novels to the next level. The intensity of the subject, the small town aspects, makes this a tense and claustrophobic read. One of the books best features is the chapters focusing on a different character. There's the survivor of the original killings, the child who found the bodies, the detective knocking on doors - we see the case from different eyes, hear their thoughts and feel their emotions as their lives are taken over by a serial killer. Emma Kavanagh is a highly gifted writer. The novel spans twenty years and you feel like you've been with these characters on that two decade journey, watched how their lives have changed because of a disturbed killer. 'The Killer on the Wall' is taut, disturbing, and wonderfully dark. The finale is epic. This book is a masterclass of crime fiction. "Man, this is definitely worth buying with your hard-earned!" Rachel is on a mission to find her father, hindered by the antics of her manipulative mother. She experiences one setback after another, and this is compounded by an on-air panic attack while she's reporting to camera about a humanitarian situation in Haiti. Back home and licking her wounds over her continued frustrations about finding her father, and her very public professional meltdown, she meets Brian. He adores her and he's with her every step of the way as she slowly regains her confidence and her sanity. But everything is not what it seems with her husband and his strange behaviour forces her to probe for the truth. What happens next is more than her imaginings could have ever come up with. Dennis Lehane really is a master of the criminal mindset. 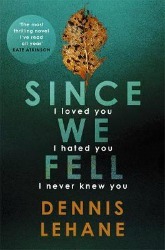 In 'Since We Fell', we start off with what feels like a psychological mystery, but the story then morphs seamlessly into an ingenuous tale of large scale theft, deception and murder. Rachel is a fascinating creation. We gain insight into her state of mind and how that is framed by a controlling mother, the breakdown of her high-profile professional life and her scheming husband – her character arc in anyone else's hands might turn into an unholy mess, but Lehane has long been at the peak of his powers. He knows what he is about and sets the whole thing up beautifully. The first half of the book is all about atmosphere and character interplay, the second half is full of twists that leave you breathless. Man, this is definitely worth buying with your hard-earned! "I love this series and would recommend it to any reader in a heartbeat!" Lee Arnold, ex-army, ex Metropolitan police and currently independent private investigator, has a problem. One of his best mates from his army days in the First Iraq War has called in a favour. Abbas al'Barri, former translator for the British Army, has been resettled in Britain and is living in East Ham with his family. To his great distress, his oldest son has gone to Syria to fight for ISIS. When they receive a parcel from him containing an ancient relic, the tooth of the whale that protected Jonah, Abbas is convinced that their son, Fayyad, is trying to return home. Not wanting to involve the police, Abbas turns to Lee and his partner in the detective agency, Mumtaz Hakim, to trace him. This involves Mumtaz, a Muslim woman, going undercover as a potential bride for Fayyad in order to lure him back to Britain. This leads both Mumtaz and Lee into extreme danger, involving not only ISIS fanatics but counter terrorist officers pursuing suspect terrorists. The background to this is the vibrant, constantly changing kaleidoscope of peoples and religion that is the East End. Barbara Nadel, product of the East End with a close knowledge of Turkey and its border with Syria, is in a perfect place to deliver this stunning story of modern day Islam in London and its impact on the surrounding community. It is both scary and human at the same time. The hate and violence that is driving terrorism, alongside the very ordinary human lives that it impacts on, make for a gripping story. Mumtaz, troubled by family, and debts incurred through no fault of her own, is amazingly brave both in her job and in her private life. Her daughter is a strong and developing character who shares more than she realises with her mother. The insight this book provides into the pressures and difficulties of a Muslim family in today's London is brilliant. The reasons for Islamisation are explored sympathetically whilst not detracting in any way from the horrors of fanatical belief. Mumtaz and Lee are a great combination as private investigators and Mumtaz in particular is a wonderful creation who is both utterly original and entirely sympathetic. I love this series and would recommend it to any reader in a heartbeat! "...a luxuriously dark and compelling read. " What promises to be a long bank holiday for forensics consultant Dr David Hunter is interrupted by a call from Essex police. A badly decomposed body has been found in a desolate area of tidal mudflats and saltmarsh called the Backwaters. Under pressure to close the case, the police want Hunter to help with the recovery and identification. It is thought the remains are those of Leo Villiers, the son of a prominent businessman, who vanished weeks ago. To complicate matter, it is rumoured that Villiers was having an affair with a local woman… and she too is missing. Yet Hunter has his doubts about the identity, knowing the condition of the unrecognisable body could hide a multitude of sins. Then more remains are discovered - and these remote wetlands begin to give up their grim secrets. It has been seven years since the last David Hunter novel. In that time I have read hundreds of crime fiction novels. However, it didn't take me long to remember the intelligent and tortured Dr Hunter or the keen attention to detail by author Simon Beckett. Beckett uses his knowledge and research as a former journalist to give his novels added authenticity that other writers don't, or cannot. This could well be a work of non-fiction the way the minutiae of forensic detail is laid out for us. It's this added layer that gives the Hunter series a sense of realism, a heightened sense of drama, and makes for a disturbing, tense, and entertaining read. Hunter is still suffering the loss of his family, physically reeling from the attack that could have killed him, and agonising over former cases that he can't seem to let go. Hunter is a private individual who cares about the crimes he helps to solve. He puts the victim first. They can't speak. They can't point out the killer, but their body can… and Hunter works hard to give the victim peace following a violent end. In the hands of a lesser author, this series could have gone down the same road as 'Silent Witness'. Hunter could be the bane of every detective in England. Yet he isn't. 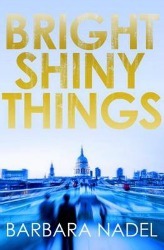 Simon Beckett has created a character that knows his boundaries and limits within a police investigation, yet maintains a high level of entertainment value. Simon Beckett is a literate and dexterous novelist. 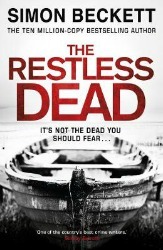 'The Restless Dead' is a luxuriously dark and compelling read. It's also highly addictive so before you open the front cover, cancel any plans you may have! "The location, the characters, the sense of something dark lurking at the heart of a community – it all rang true for me." A woman's body is discovered in a cathedral in the Irish midland town of Ragmullin. Hours later, a young man is found hanging from a tree outside his home. Both bodies have the same distinctive tattoo clumsily inscribed on their legs. It's clear the pair are connected, but how? Detective Lottie Parker is called in to lead the investigation into both deaths. The trail leads her to St Angela's, a former children's home, with a dark connection to her own family history. Suddenly the case just got personal. This debut novel from Irish author Patricia Gibney introduces us to Garda Detective Lottie Parker. Still grieving the death of her husband, Lottie is struggling to cope with her demanding job while also being a mother to her three teenage children. It's an impressive start to a promising new series. With her partner Boyd, Lottie is tasked with finding out what links the two victims and why they died. The investigation leads Lottie to St Angela's, a former children's home. It's clear early on that Lottie has a personal connection with St Angela's. It's also clear that St Angela's was far from a pleasant experience for the children who lived there. The novel moves between two different time frames: the 1970s and the present day. While it's clear from the outset that the present investigation is linked to the terrible events that took place in St Angela's in the 70's, Gibney does a good job of keeping the reader guessing right until the final pages. Over the last decade, Ireland has been rocked by stories of the abuses carried out in state institutions. The most recent of these was the shocking discovery of a mass grave at a mother and baby home in Tuam. 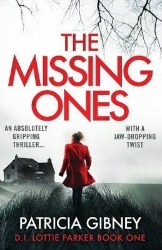 In a country that spent far too long covering up the terrible injustices inflicted in the name of Church and state, 'The Missing Ones' is an angry, heartfelt cry on behalf of the voiceless victims. I grew up in the Irish midlands, in a town not far from Mullingar, Gibney's home town and – clearly – the inspiration for the fictional Ragmullin. For that reason, this felt like a very personal novel. The location, the characters, the sense of something dark lurking at the heart of a community – it all rang true for me. The 'will they, won't they' relationship between Lottie and her partner, Boyd, works really well too. From this reader's perspective, I hope they will in the not too distant future because Boyd really is a lovely character. I look forward to seeing what Patricia Gibney does next. "This is a clever book." This is about the young William Shakespeare and is an imaginative but credible construction of “the Lost Years”, between 1585 and 1592. In 1585 Shakespeare is in Stratford, in 1592 he is part of the London theatre. To avoid trouble at home, Shakespeare joins a troupe of travelling players attached to the retinue of Sir Henry Carr, Ambassador to Venice. He learns skills as an actor, writes plays and poems for the troupe and undergoes a number of trials and excitements before arriving in Venice with an ultimate task of play acting in order to save his skin. Shakespeare is determined to carry out the wishes of the Ambassador and feels the weight of the importance of his task. 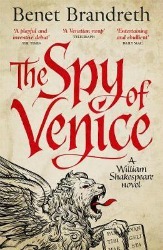 Whilst in Venice he meets some beautiful and fascinating characters who shape his actions and provide help when needed for Shakespeare to complete his assignment. This is a clever book. The idea is original and backed up by Benet Brandreth's undoubted familiarity with Shakespeare's work and uses his knowledge of the plays to provide a possible explanation of what the playwright was doing at that time. Many allusions throughout the book reflect the plays. I recognised some, but suspect that many went over my head. On the level of storytelling alone, this is a good yarn. The young Shakespeare is an impetuous and passionate youth who gets himself into scrapes and then cleverly and bravely manages to avoid the consequences. His companions are an entertaining lot who resemble some of the characters who later appear in the plays. Venice is described in detail giving an immediate feel for the atmosphere of the times. Altogether I enjoyed this book. I also had the distinct impression that Benet Brandreth had a ball whilst writing it. An excellent read. "The dialogue is spot-on to the point where the reader feels like their eavesdropping on real people's lives..."
Kaz Phelps is on the run - from the past, from the legacy of her criminal family, from the haunting memories of her murdered lover. The police want her back in jail and her enemies want her dead. While standing at the grave of her gangster brother, Kaz realises she only has one option. To fight back. Nicci Armstrong was one of the Met's best detectives until a personal tragedy forced her to quit. Now she's responsible for the security of the super-rich who use her city as a playground. Nicci's biggest mistake yet is falling in love with a man she knows is only using her. 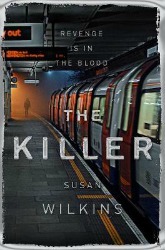 'The Killer' is the final chapter in Susan Wilkins' stunning trilogy of novels featuring Kaz Phelps. Following on from events in 'The Informant' and 'The Mourner', Wilkins pulls out all the stops to end this story on a high. The entire trilogy is a blistering treat for die hard crime fiction fans. Kaz Phelps follows in the footsteps of Lisbeth Salander from Stieg Larsson's trilogy of novels, as the highly flawed and vulnerable, yet gutsy woman we want to succeed against the odds. Phelps is a well written creation that will appeal to anyone who enjoys a series with a strong female lead. Susan Wilkins' strengths lie in her understanding of human relationships and interactions. The dialogue is spot-on to the point where the reader feels like their eavesdropping on real people's lives rather than reading a work of fiction. The setting, the action, the drama, Wilkins knows what her readers want and she supplies it. It has been a treat to watch the characters develop and grow across the trilogy. I was sad when I heard 'The Killer' was to be the final one but any more could have descending into melodrama. Susan, you've given us a trilogy to remember. I cannot wait for your next project. "As always, this book about Brunetti and Venice delights on so many levels." Commissario Guido Brunetti has now reached his twenty fifth outing. This time he has been prevailed upon by an old friend of his mother-in-law to enquire into the circumstances of an accident which befell her daughter fifteen years previously. Except that she doesn't feel that it is an accident. The young girl has now grown into a thirty year old woman, but as a result of the brain damage she suffered after nearly drowning in the canal she has lost a large part of her memory and remains childlike. Once he decides to investigate, Brunetti unearths mysterious circumstances that point to malign influences at play. Along with his trusted Vianello and Signorini Elettra and on this occasion the Neapolitan, Griffoni, Brunetti uses his instinct, connections and determination to track down the criminal. As always, this book about Brunetti and Venice delights on so many levels. Venice is a much loved city, but full of corruption and deceit. Brunetti manages to maintain an honest approach despite all the difficulties and he accepts with wry resignation the reality of the political life in Italy. The current problems with African immigrants, historical decay and the corruption of many officials are sympathetically revealed as Brunetti goes about his business. His family life, with the delightful Paula and his two children, Raffi and Carla, continues to be the backdrop against which Brunetti can function. I think there was a little less culinary delight this time, but it is always welcome. The interplay between his work colleagues Signorini Elettra and her boss, the pompous Scarpa continues to amuse. She always manages to run rings round him, especially when he thinks he is being clever. 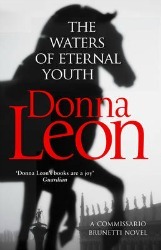 I sometimes find it difficult to review Donna Leon's books with any original comment as they are consistently good. However, this is an excellent example and as with all her other books I have read, comes highly recommended.